What is VF, VT and asystole? A cardiac arrest occurs when the heart goes into an electrical rhythm that prevents effective pumping of blood around the body. VF, VT and asystole are three common rhythms that occur in a cardiac arrest. Ventricular Fibrillation, commonly called VF (or V-Fib), is an immediately life-threatening condition. It produces no effective myocardial contraction. The uncoordinated ventricular muscle quivers, therefore there is no effective cardiac output. Left untreated VF invariably leads to ventricular standstill and death. The treatment for VF is defibrillation, this attempts to clear the disorganised electrical activity and restart effective heart pumping. Ventricular Tachycardia (VT) is defined as three or more Premature Ventricular Contractions (PVC’s) in a row, with a rate above 100bpm. VT is an unstable rhythm. It can occur in short bursts causing few or no symptoms. Alternatively, it may be sustained, becoming symptomatic and causing unconsciousness, loss of cardiac output and death. Treatment depends on the presence or absence of a pulse. Learn first aid and CPR with our FREE online course! 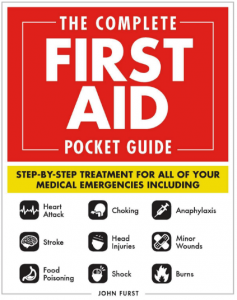 What is First Aid And Why is it Important? How do chest compressions work? Can you use a defibrillator on a metal surface? Next story Can CPR be given to someone with a pacemaker? To provide a range of free to access CPR tests to enable people to develop and improve their knowledge of Cardiopulmonary Resuscitation. Knowledge of CPR saves lives. You can do your bit to help by taking a CPR class in your local area. CPR Test © 2019. All Rights Reserved.